To the fishing. The water looked great - but it always does here. Darren and I presented sea baits in the usual 'banker' swims both float-fished and on the lead. But no runs materialized. And a regular dog-walker I spoke to informed me that he hadn't seen anyone fishing for a couple of weeks - not a good sigh. 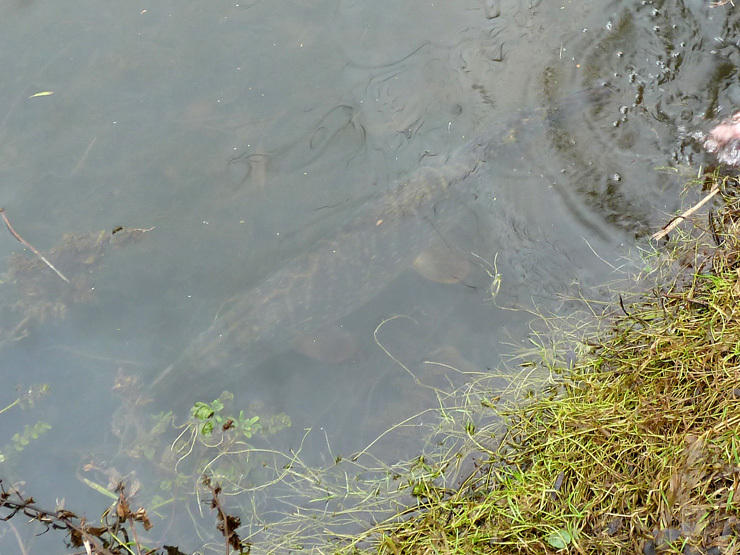 By lunch time we'd covered half the island and hadn't seen a sign of a pike. Time for lunch, the traditional Penton Hook sausage sandwiches - except Dan who had the blow-torch and the supplies hadn't turned up. Darren couldn't help as he had brought raw bacon and brown sauce... Dan if you're reading this feel guilty! I cast a float-fished sprat to a feeder stream and it wasn't long before the float bobbed and drifted away. No fight at all in the water, but when I got it on the unhooking mat it was a different story. A hunchback 7lber. 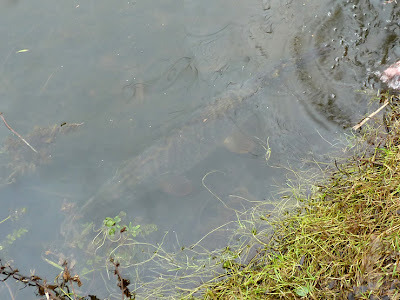 A new sprat was cast to the same spot but I wasn't happy with how the float was holding, I wound it in and there was a swirl behind my bait, it made me jump out of my skin but I saw a larger pike sinking back to the depths - possibly a double. The next cast was soon met with a bob on the float, I struck and was met with a small scrappy pike about 3lb. I thought I'd found a shoal of fish, but an hour or so later realised it just seemed to be the three, and the bigger one didn't make another appearance. We fished on around the island making a complete circuit. The wind and rain were making bite indication virtually impossible, and after one more suspected run each, and no more fish we packed up as it was getting dark. Two more pike on the scorecard. 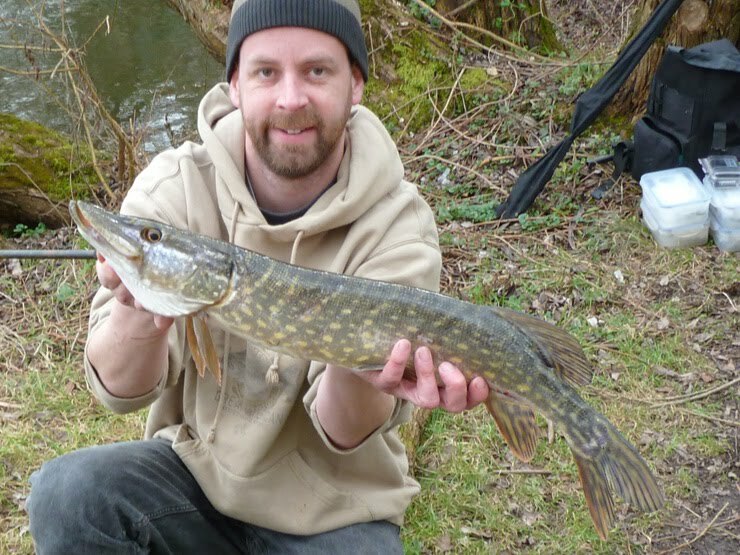 When myself and Darren decided to get weir permits he told me he never had any luck with pike. I thought how unlucky can you be with one species? But his prediction seems to be coming true, we are fishing the same baits (from the same bag) and fishing the same spots. The only difference between our fishing is I'll swap over to a float wherever possible, but most of the pike here have come to a ledgered bait. I have had a lot of luck this season, hopefully it'll continue through to next season. 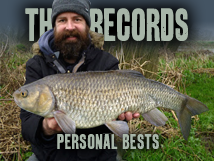 I wonder how my luck will hold when competing with Darren on carp or barbel, species he has had a string of monster fish! A rod break on top of THAT line break: you're not having the best of luck but maybe (definitely hopefully) that will change. On the subject of Penton Hook, what do you think is the potential on fish size? 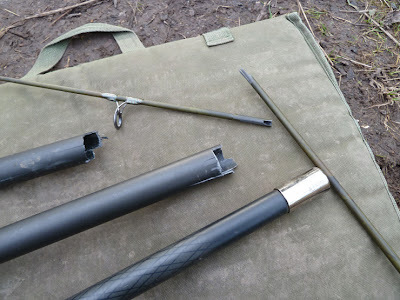 Overall I think it's been a lucky season, but I could have done without breaking the rod (and losing the Monster). I'll try and get a double barbel and see if my luck is holding. Penton Hook was electro-fished about ten years ago, 2 thirties and quite a few twenties were weighed. But since then it has suffered a lot of poaching - a lot of pike ended up on the table. Hopefully get another session in before the season ends. 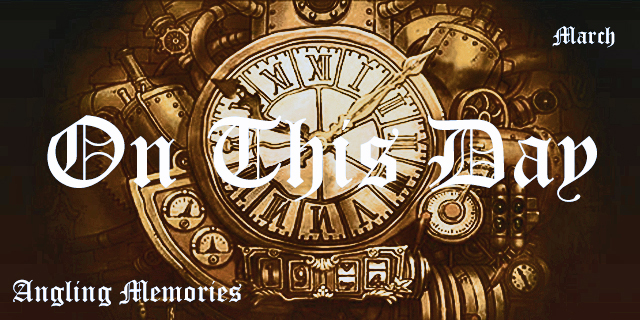 If bad luck happens in threes, I count losing the big fish & breaking the rod - what's next? Still need a double barbel and a twenty pound pike... Hopefully get a couple more sessions in before the end of the season, so fingers crossed! Nice fish! You'd better get cracking on that Twenty for the 2011/2012 season!!!!!! Yeah, less than 3 weeks to go! 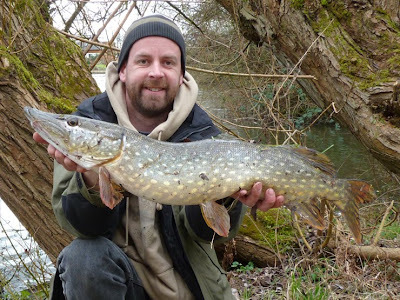 The Thames is my only pike fishing venue for the rest of the season so a twenty is looking pretty unlikely but you never know. Should of guessed it was you who caught the fish! Am gutted for you about your rod and landind net pole. The Penton Hook Jammy Bugger strikes again! 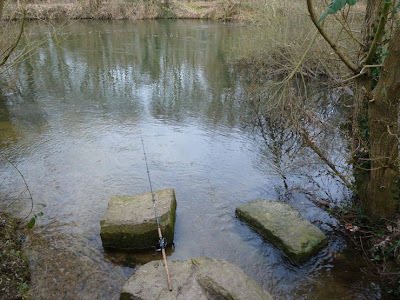 Net pole was pretty cheap, but the rod was one of those really nice thirteen foot rods that you borrowed last time out... Gutted!